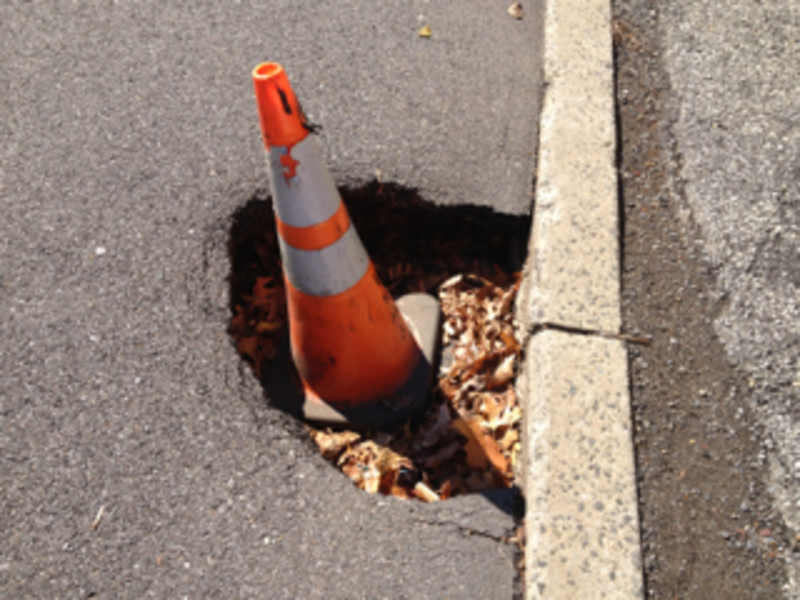 There is a large pothole on Booth Avenue between Engle and Lydecker. It is pretty much in the middle of the street and sometimes hard to avoid. I can cause a blowout. The pothole has NOT been fixed. It is in the area of 148 Booth Ave. The pothole has not yet been fixed. More exactly, it is in front of 153 Booth Ave. There are actually several potholes in the same place. The area on that part of the street needs repairing. I've given up!! Booth Ave. potholes below Lydecker in the area mentioned above are getting worse and worse. Obviously, the funds are not there to fix it or the area is on a "future" to do list. We would like to see the police, the City, and all the authorities working when We The People, decide to report this kind of issue, using the media. Van Nostrand Ave. between Bergen and MLK Ave. has a great business going on. Drug-dealing is the best choice for young people in this neighborhood. We have Precinct South over there, and they told us that, the brand new cameras installed over MLK are not working, that we must "keep calling" and "do not stop doing so" for how long more? We constantly called and give exact address, nobody appears. However, anybody can see the group, they are out of the house waiting for the "customers" hiding the stuff in their garbage, and In their bodies. You just need to stop by and can see everything. Hopefully, this report gets a different response. 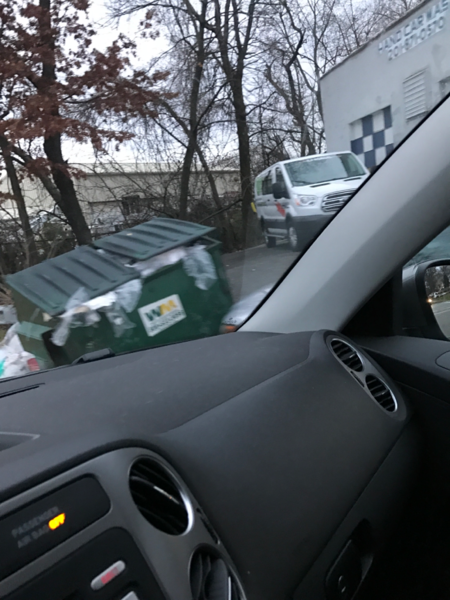 The Car Wash accumulates more garbage than its one dumpster can handle thereby leaving bags of garbage on the ground. Additionally the debris blows onto road and other private properties. The inattention to the littering is unacceptable and needs to be addressed immediately!! I saw the issue reported and the photo attached. Traffic light signal (picture of hand) for crossing street does not function properly. Poor timing. Dangerous to cross street. Need to correct timing of "ok to cross sign" and give people enough time to cross street safely. Two schools located within several blocks of intersection. Kids crossing all the time against the light because it is broken. 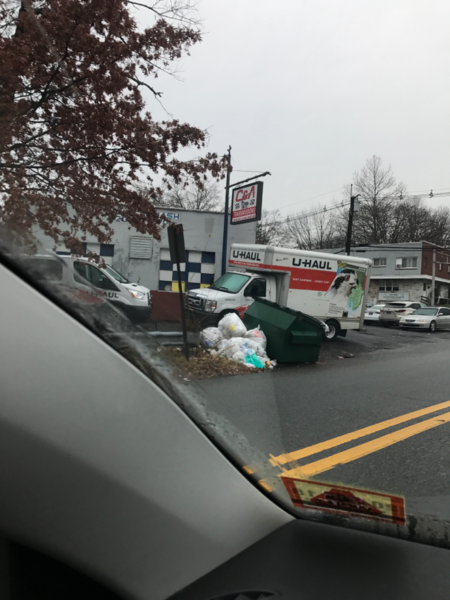 Located at intersection of Jones Road and Palisade Avenue in Englewood. Contacted police and have had no action. Many crossing on Saturday to go to synagogue. Dangerous! This street light is STILL out after reporting it over 9 months ago!! I've recently written to the city about it, with no reply. This road is incredibly dangerous for cyclists with all traffic (including cars and bicycles) having to dodge and weave to avoid major damage. A couple of the larger potholes were recently filled, but the only thing that's going to help this road is a complete resurface. This pothole Next to the curb is more than 1 foot deep and wider under the surface. For those of you coming off Route 4 and those making a right hand turn from Rockwood Pl. onto Grand Ave., the Bergen County police have been ticketing loads of drivers that do not fully stop at stop signs. Because of the dangerous nature of this intersection and an inability to see oncoming traffic, most drivers inch past the stop signs and slow/stop just after the stop sign. Don't do it....you will get a ticket. The police are there every Monday between 3 and 5 pm. Many of the police stops are arbitrary. Rather than fix this intersection, the County would rather collect the revenue. This is still going on.....in fact, the police are now here even more frequently! Potholes at the corner of Illingworth Ave and Highview Rd, both Englewood and Tenafly sides of the street, ALWAYS full of water (high water table) and therefore a breeding ground for mosquitos (West Nile danger). And for us dog walkers and joggers, there is always the danger of breaking an ankle. Potholes are located near the gutters. This is taking so long for someone to look at and fix that winter will be coming. Do pedestrians have to fall and break their coccyx after slipping on the ice-filled potholes before this gets fixed?! There are so many deep potholes on the street that it's dangerous. The entire street needs to be re-paved.